The Steam ‘n Dry group has been servicing Auckland for over 30 years. We are also considered as Auckland market leaders in areas being serviced in regions of New Zealand. We also offer carpet cleaning franchise. Steam ‘n Dry have developed expert truck mount cleaning units, also, experienced staffs and an operation system that is easy, like turning a key for a new franchisee. Our modern hi-tech truck mount equipment have the most noteworthy, and superior performance and, as a result, have good customer satisfaction. 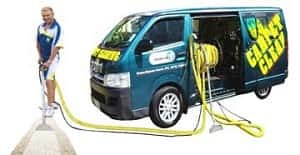 We have specialized developed truck mount units by Steam ‘n Dry engineers since 1995, to a point where they are, cleaning 7 times better than the electric portable units, or, the common smaller truck mount carpet cleaning units. Powerful Truck-mount carpet cleaner units. No Royalties, for the first year. Toll-free franchise carpet cleaners Consumer Message line. Toll-free technical support help line. Continuing research, much as, development. Specialized high margin, therefore, professional franchise carpet cleaning services. Advanced specialized, franchise carpet cleaning training Programs. Free Steam n Dry email, and web site. Free exchange of ideas among carpet cleaners, branches, and, franchisees. Effective modern marketing programs, so strategies developed over 30 years. Complete Computerized Administration, and, Operation. Teflon Carpet & Upholstery Protection. Start Me Up! Franchises Options, most of all, investment prices. Finance available to approved persons. As used and recommended by all the worlds largest carpet manufactures, Steam n Dry cleaners uses the best, largest big truck mount steam carpet cleaning systems. We, therefore, can offer clients Money Back Carpet Cleaning Guarantee. Steam ‘n Dry cleaners are, as a result, the best at drawing out the soil, stains, also, germs from dry carpet, flood, upholstery, meth home, grout etc. Leaving your carpet cleaner, also, dry. Germs are killed, and exhaust outside. Clients can call our 0800 783-266, or email to book our big truck mount carpet cleaning. See the Steam ‘n Dry carpet cleaning franchise info carpet care tips, how to choose a good carpet cleaner helpful links. Auckland branches North Shore, West, East, South Auckland City.